The Land Conservancy and its conservation partners have been honored by the top environmental agencies of the United States and Canada for preserving land in the Grand River watershed and increasing public awareness of the ecosystem. The Land Conservancy’s Grand River Corridor Protection Project was chosen as a 2011 Success Story by the State of the Lakes Ecosystem Conference (SOLEC) from 30 U.S. and Canadian nominations. 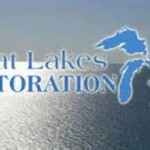 The award recognizes outstanding efforts to protect the Great Lakes Basin. The SOLEC Success Story award was presented to the Land Conservancy at an Oct. 26 conference in Erie, Pa. SOLEC, which is a joint effort between the U.S. Environmental Protection Agency and Environment Canada, provides independent, science-based reporting on the state of the health of the Great Lakes Basin ecosystem. The Land Conservancy, which works to preserve the scenic beauty, rural character and natural resources of northern Ohio, has permanently protected more than 4,000 acres in the Grand River Watershed. 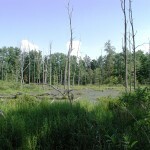 The protected land includes the Land Conservancy-owned, 883-acre Ashcroft Woods property near Orwell in Ashtabula County. The Grand River Watershed covers more than 453,000 acres in Lake, Ashtabula, Trumbull, Geauga and Portage counties. The Land Conservancy’s staff leads and coordinates a group called the Grand River Partnership, which is made up of organizations and people working to protect the river. The partners have included farmers and other private landowners, park districts, soil and water conservation districts, Ducks Unlimited, the U.S. Fish and Wildlife Service, the Cleveland Museum of Natural History and the Ohio Department of Natural Resources and The Nature Conservancy. The Grand River, which in 1974 was designated a State Wild and Scenic River, drains about 712 square miles and is home to 87 species of fish, 115 bird species and 60 rare plants. It drains the most biologically diverse watershed flowing into Lake Erie in the United States or Canada. The Land Conservancy has preserved more than 380 properties and more than 23,500 acres in northern Ohio. It was formed in 2006 by the merger of eight local land trusts. In another merger, Grand River Partners Inc. became part of the Land Conservancy in 2009.